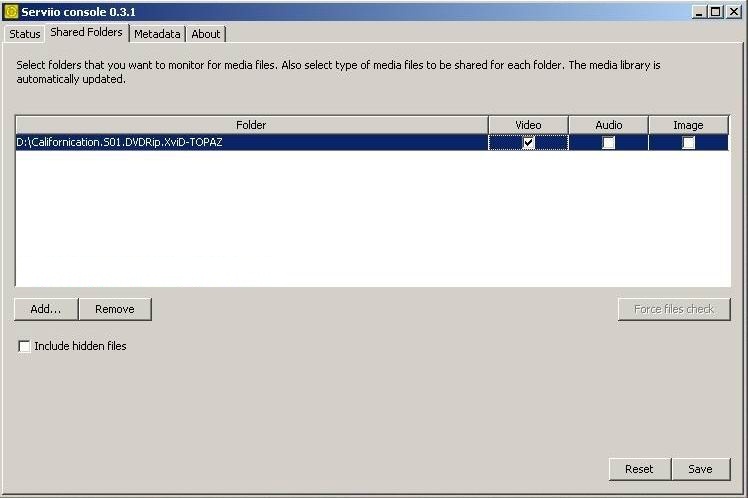 Serviio uses a priority-based metadata extraction so that you can choose what metadata should describe your media files (e.g. audio track name, DVD cover, TV series and episodes names, etc.). These include metadata embedded into the media files themselves, locally stored metadata files and metadata that can be obtained online. With this powerful tool you will be able to build your Serviio media library easily and effectively. A 15 day evaluation of the Pro version is provided, after which the edition becomes the Free edition which has fewer features compared to the Pro version.